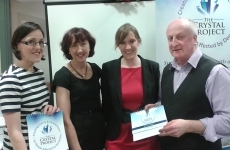 Who is involved: The Crystal Project is led by the Health Service Executive North Cork Occupational Therapy Service. It involves collaboration between the Health Service Executive, The Alzheimer Society of Ireland, The Carers Association, families affected by dementia, University College Cork, local community groups and General Practitioners. 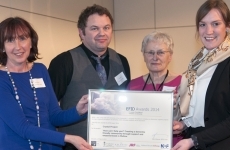 The Project won an EFID award in 2014. Nature of activity: The aim of this project is to create a ‘dementia-friendly community’ in Mallow by providing support for staff of local businesses, schools, and healthcare professionals etc., to be aware of the needs of those affected by dementia. Through awareness campaigns, dementia champions support programmes, and open access to the Memory Resource Room, the public will be better placed to understand the needs of those affected by dementia. The project has created a Memory Resource Room, decorated with homely furniture and providing a calm environment for people concerned about their memory to discuss sensitive issues.